RAWconcrete is about a young boy traveling through space and time across the universe, a game featuring innovative combat mechanics (Transmutator Gun), photo-realistic graphics, realistic animations and audio, and above all, a very interesting story. 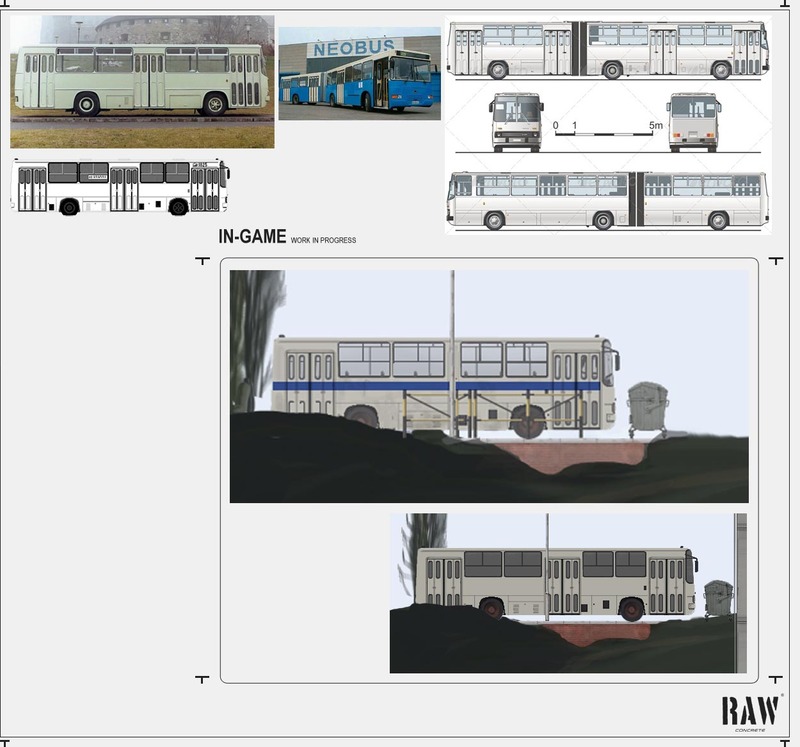 Inspired by Half-Life 2 and Hearth of Darkness, RAWconcrete is an ambitious attempt to create the very first side-scrolling photo-realistic (or as close as it can get) 2D game. It's about a prodigy, a young American boy, who's built a time machine... 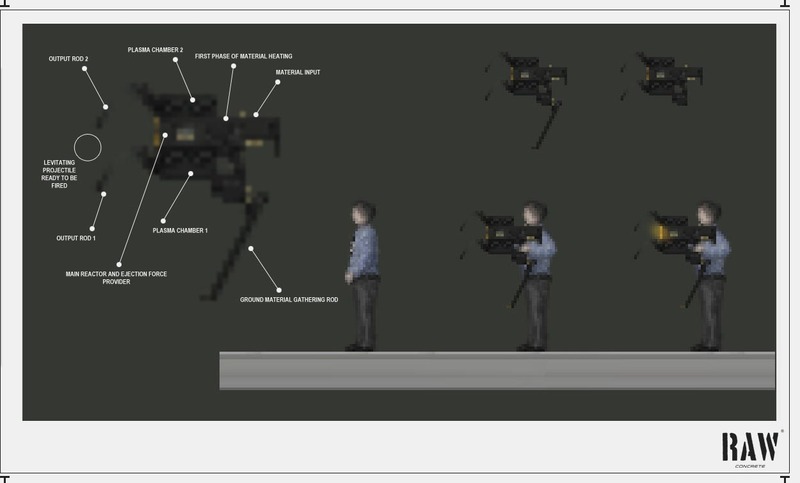 It will feature innovative combat mechanics (Transmutator Gun), photo-realistic graphics, realistic animations and audio, and above all, very interesting storyline. Why are we so excited about RAWconcrete? The overall concept of the game we think is quite unique and innovative. As our research showed, no (side-scrolling) 2D game like it exists out there and so we have the opportunity here to bring something new to the world of 2D gaming. Let's start with graphics. The vast majority of 2D games are stylized, one way or the other, whether pixel art, cel shading or otherwise. 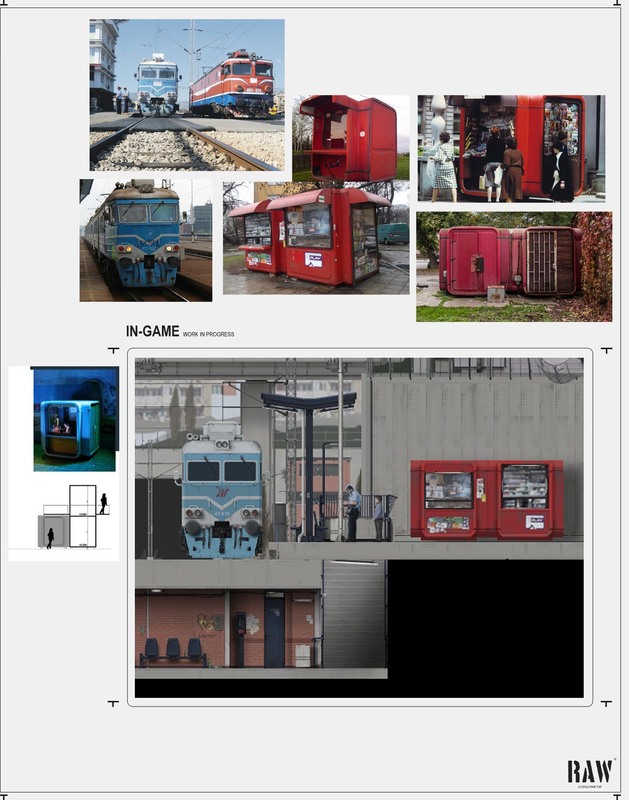 2D games with photo-realistic style do exist, however, we're talking about games inside which developers have been putting actual photographs. 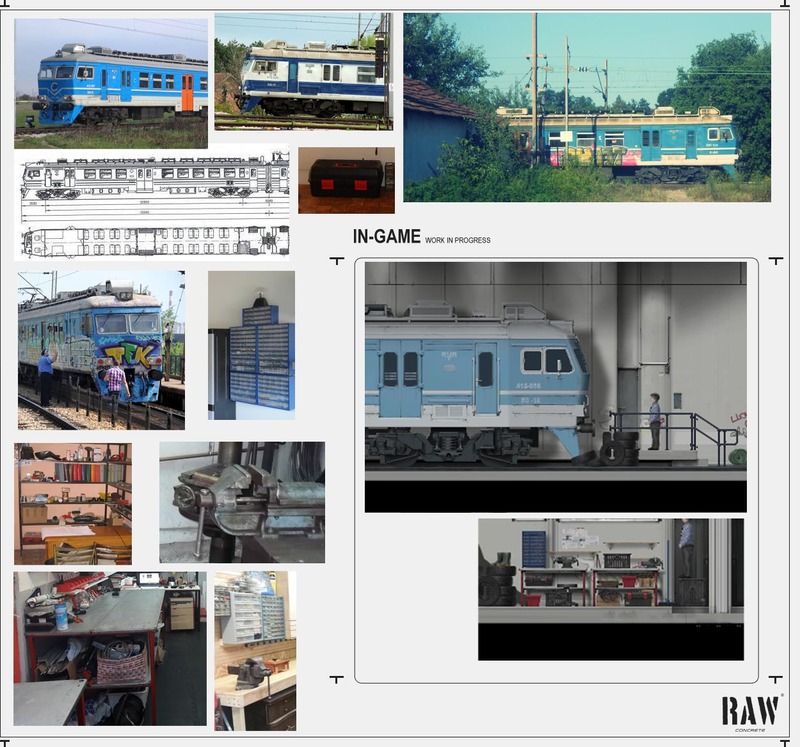 Not the case with RAWconcrete - highly detailed photo-realistic graphics, from props, levels, to characters that occupy them, all done by hand, from scratch. The art direction here is photo-realism (not a stylized one where one or more aspects of the game are stylized). 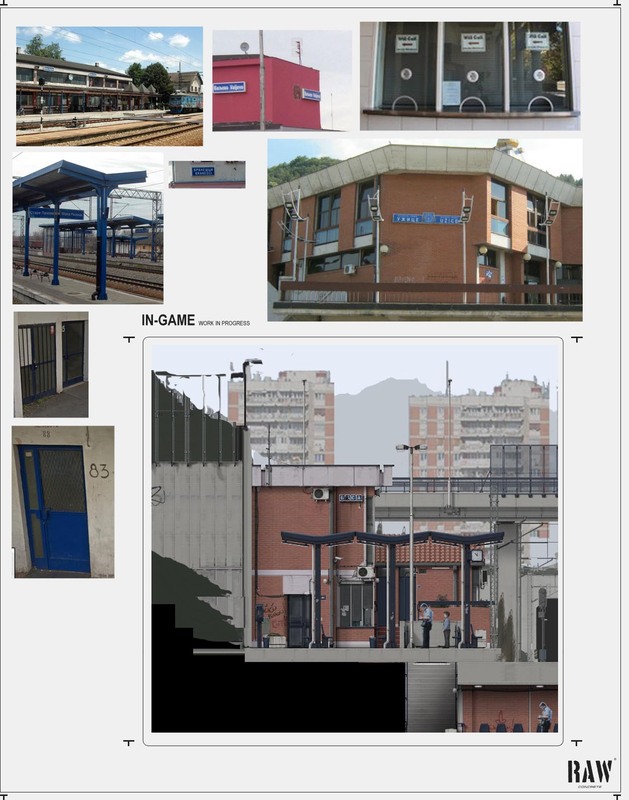 Not a single finished asset in RAWconcrete, or better, pixel, originates from a photo, though photos were used as a reference, of course (see HOW IT'S DONE segment). This is what immediately and clearly separates RAWconcrete from other 2D games. It is as close to photo-realism as it can get, without using the actual photos or cropped elements off to assemble levels, vehicles, props or characters. Another distinctive feature of RAWconcrete would be outdoor background environments of same level of detail as the foreground ones. These background environments would be made accessible by the player, to a degree, becoming little foreground levels themselves and having their own little story to tell, complementing the main one and enriching the whole experience. In a way, we would be bringing a third dimension to the game. Nothing similar exists in any other 2D game. Add to all this very interesting story, innovative gameplay i.e. combat system, realistic audio and animations and you have one of a kind 2D game experience. 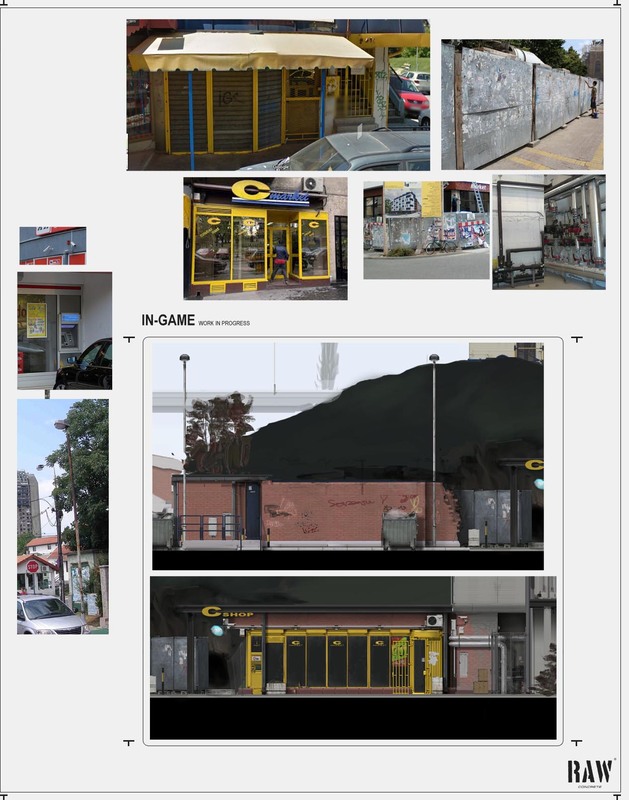 So, RAWconcrete is an ambitious attempt to create the very first side-scrolling photo-realistic fully 2D game, and with your help, in the form of feedback and financial support later on, we might succeed in it. Now, let us not be misunderstood, graphics is not all we care about and hopefully you'll agree by checking the story, or the beginning of it, below, as well as the combat system afterwards. And, always bare in mind that pretty much everything is work in progress. The full game would let you explore amazing places, from global technocratic dictatorship of the future, deep ocean of Jupiter's moon Europa, even Jurassic forest perhaps, to terrifying surreal worlds beyond the visible universe, beyond the beyond, in the absolute unknown. Because the game deals with time travel, among other things, we can really be creative in terms of the environments or time periods the player will find himself in. So, you'll travel back and forth in time, into the near and far future, likewise, near and far past, you'll jump between parallel universes, perhaps meeting your other selves, having different set of beliefs, different personalities, and so on and on. Every time period or setting would have it's own unique gameplay. The aim for RAWconcrete is to be really immersive in nature, a weird psychological philosophical game. You'd be driven to a range of emotions, fear, sadness, depression, loneliness, curiosity...loneliness being the main one we'd want to impose on players. Sam's (name of the protagonist) biggest fear so is being alone, to him it is worse than death. This fear would be the prime force driving our protagonist forward. The words or phrases that best describe the game - time travel, parallel universes, infinity, loneliness... 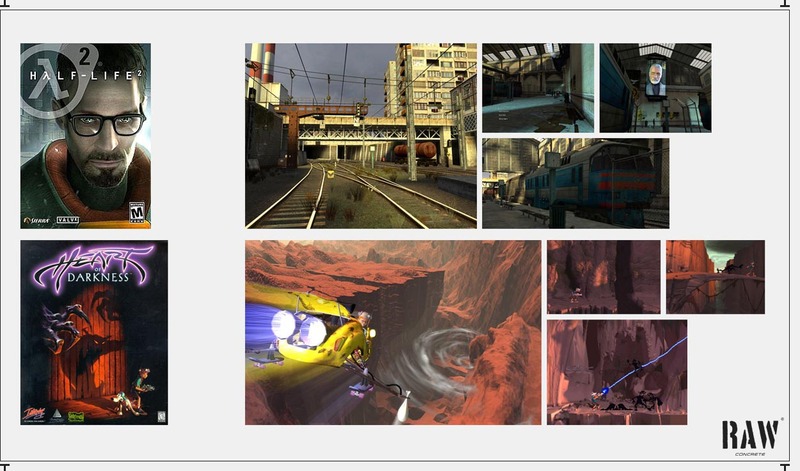 Some of you perhaps already figured out that the game is heavily inspired by these 2 popular games, Half-life 2, by Valve Software and Hearth of Darkness, by Amazing Studio. 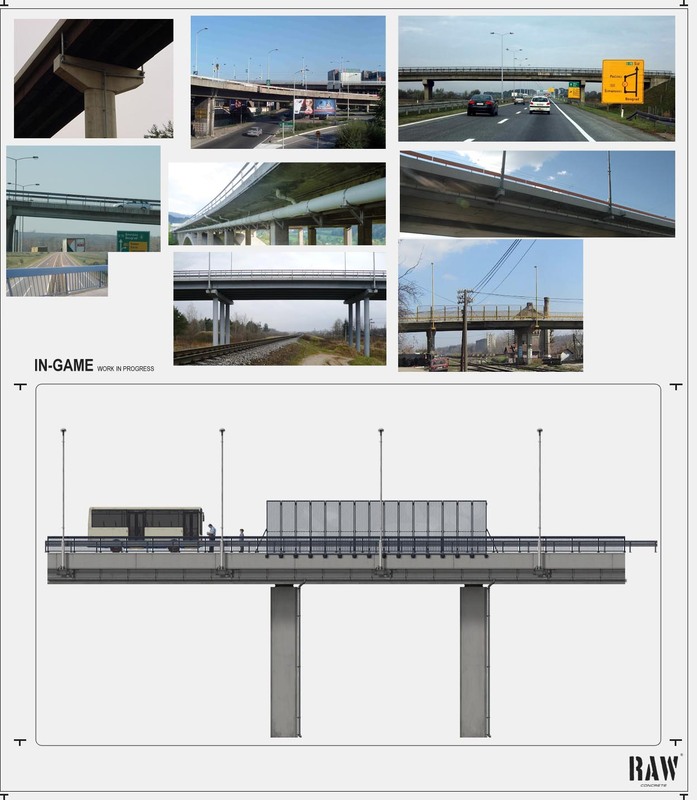 What we've envisioned for RAW concrete is a super weird slow-paced narrative-driven 2D game. The story follows a young American boy, named Sam, who turned out to be a child prodigy like no other, incredibly intelligent for his age, and also being the first confirmed case in history of somebody possessing eidetic or photographic memory. He was born into a very rich family from Seattle, Washington. His parents run big international corporation worth billions of dollars, manufacturing various autonomous systems, for both the civilian and military sector. Sam was born with a facial defect of some kind, which unfortunately cannot be removed due to high risk of fatality, resulting in chronic depression and low self-esteem later in life. It is believed this could've in some way contributed the development of prior mentioned qualities of his mind, or brain. However, as with many other people suffering from low self-esteem, this turns out to be an underlying force, pushing him to thrive in something he showed great interest in at a very early age, physics, many fields of physics in fact, from acoustics, astronomy, astrophysics, all way down to quantum mechanics and string theory, is where Sam will have his contributions. At the age of just 10 he began studying theoretical physics at Seattle Institute of Technology or S.I.T. While on S.I.T. he solved the famous Gaitan-Pupakovic paradox, thought to be unsolvable, making him the youngest receiver of the Nobel Prize. Argentinian Prof. Gaitan, not alive, was a well known mathematician and theoretical physicist, much like Prof. Pupakovic, alive and well, living and working in Serbia. Sam ("alone" translated into Serbian language) becomes Prof. Pupakovic's youngest friend, though living on different continent. One day Sam collapses and is rushed to a hospital where he's diagnosed with an incredibly rare and deadly disease, with no hope of rescue. The doctors gave him around 4 years of life left. Sam leaves S.I.T., becoming a drop-out. Then another life changing event occurs, his parents die in horrific helicopter crash, along with mother's parents. He enters severe depression, while inheriting big fortune. After living with grandparents from father's side for a while, he decides to move to East Europe, to the capital of Serbia, Belgrade, where Prof. Pupakovic is. The country is struck by sanctions. Sam buys an old brutalist building a train station away from Prof. Pupakovic. and starts secretly devising and building a time machine for the next 3 years, piece by piece, with the little help of professor, who doesn't really know Sam's true intentions. What exactly does Sam have in mind? Donating huge amounts of money to some of the best medical research labs in the world to go deeply into research of the disease he has and travelling no more than a decade into the future, hoping to be cured by a more advanced medical technologies developed by the same companies, but also getting rid of that facial defect, allowing him to run more or less normal life afterwards, with new and few of his old friends, for whom he hopes would still be alive decade from now. He was questioning this decision a lot though, as there were other options on the table, some not as selfish as this final one, but he stick to it at the end. Let us reveal to you the very beginning of the game, what would become the first half of the shorter demo version. Hopefully, you'll find out the rest while playing the full game. It is the day of time travel. The game begins with Sam taking a nap on the couch. His dream is displayed, he's having another nightmare, and they're all very much similar to each other. He's in the time machine chamber, the travel is about to be initiated, when a fatal error occurs. Suddenly, he i.e. the T.M.C. appears in the low Earth orbit, leaving Sam confused. He floats there for few seconds and then all of a sudden a space-time glitch of some kind occurs, sending Sam beyond the Milky Way galaxy. He realizes there has been a major error and experiences strong panic attack. Moments after, the same glitch sends him at the edge of the visible universe. The panic intensifies. Finally, he finds himself far beyond the visible universe, in the absolute unknown, putting him in the state of absolute terror. He attempts to activate lethal suicide injection within the suit, planned for unfortunate situations like this. It fails to work. He tries the backup method, poisonous pill within the helmet. Failure again. He can't believe what's happening and, just as he braced for another glitch, throwing him even farther away, a toy excavator appears near him, floating, immediately calming him down...is where the dream ends and Sam wakes up. The graphics isn't the only area where we try to innovate. We worked really hard to come up with an interesting and innovative combat mechanics. We're super excited about it. Sam has developed a rather unique gun, the only one he'll carry with him during the time travel. The weapon is called Artificial Nuclear Transmutator or simply Transmutator. How does Transmutator work? In essence what it does is converting one chemical element into another via process of nuclear transmutation. In other words, by putting small broken pieces of various material into the gun (from env. 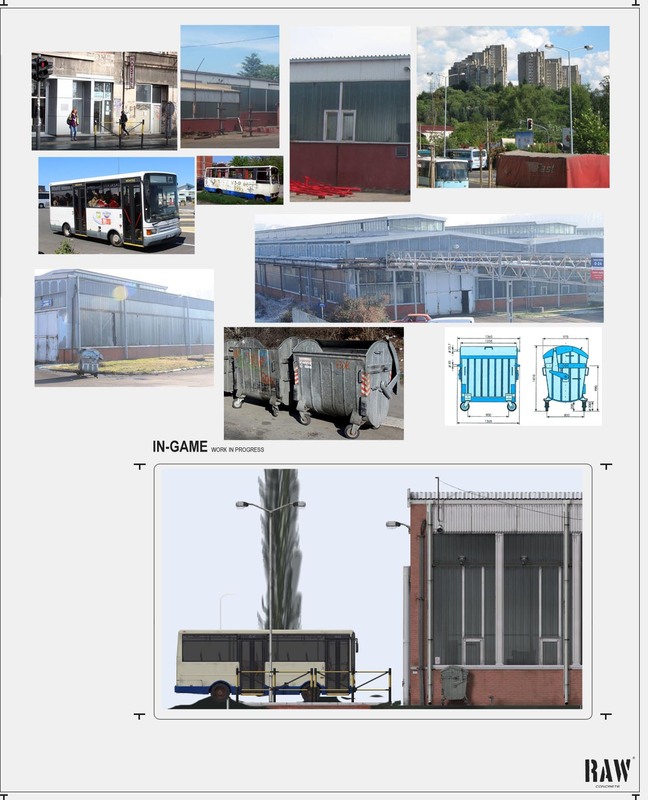 props), such are glass, plastic, rubber, wood, even liquids etc., these are then heated by the powerful gun reactor until they reach the plasma state, and once they do, the elementary particles are disassociated and then associated into new chemical elements, at the other end of the gun, where new materials i.e. compounds are created, these being various explosives and other ammo types, some of which we haven't come up with yet. The created compound is then fired. The basic or the first type of projectile is the molded rocky "bullet", rock being the material which would be in abundance all over, essentially providing an infinite supply for this ammo type. You'll never run out of these, all you'd need to do to reload or acquire more rock material is to crouch and via special sucking rod on the gun, collect the material from the ground (any ground), as shown in the image below. As for other types of ammo, well, things get little harder, way harder for the most powerful ammo type, requiring rare materials. The point is, by using one ammo type you're possibly depleting resources needed for another one, thus forcing you the player to be careful - do you really want to kill the enemy AI with the most powerful ammo type, an AI which can be eliminated with the least powerful one, or be wiser and use it when you really need it, against the swarm of such AIs? So, you'd be forced to constantly search for environment props, or raw materials if stranded on some alien planet, collecting as much of them as you can and improvising a lot. One round of specific ammo type requires specific materials in specific amount. Don't have that round yet, explore the area for needed material/s. We were mainly looking at the Gravity and the Portal Gun for inspiration. Also, the Gauss gun from Half-Life 1. We wanted a unique gun concept and memorable design. Initially, the idea for the gun was to look like a contraption but we soon abandoned the idea and decided to try a different approach - Sam has lots of money at his disposal. Why not buy or ship over some advanced equipment from his own company, such are 3D printers and similar heavy-duty production equipment, and make the gun that way? Custom made yes but without that unnecessarily complicated scrapyard post-apocalyptic look. We're happy with the result - simple, cool and memorable silhouette. 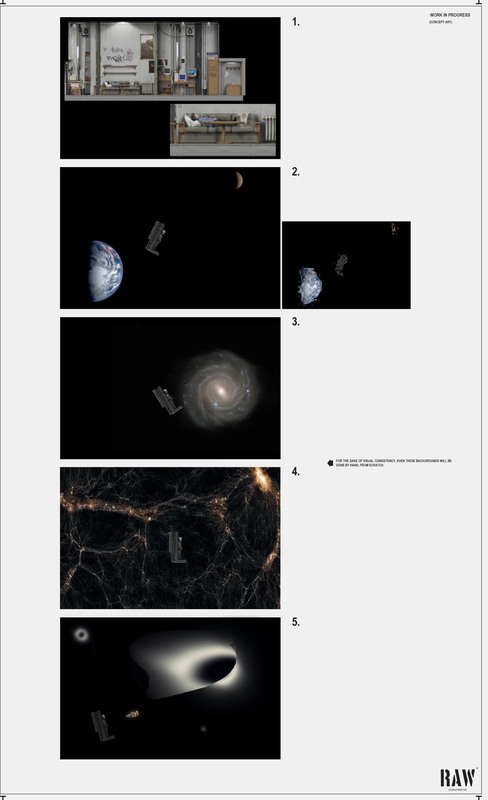 How the idea came for the Transmutator? Well, you first put yourself in Sam's position. Since you'll be traveling in time, carrying a conventional weapon wouldn't work, because you'll eventually run out of ammo, which cannot be found in time or environment you are in. So, you need a weapon that can generate ammo from the environment itself. Following this train of thought, you end up with the Transmutator, or something similar. 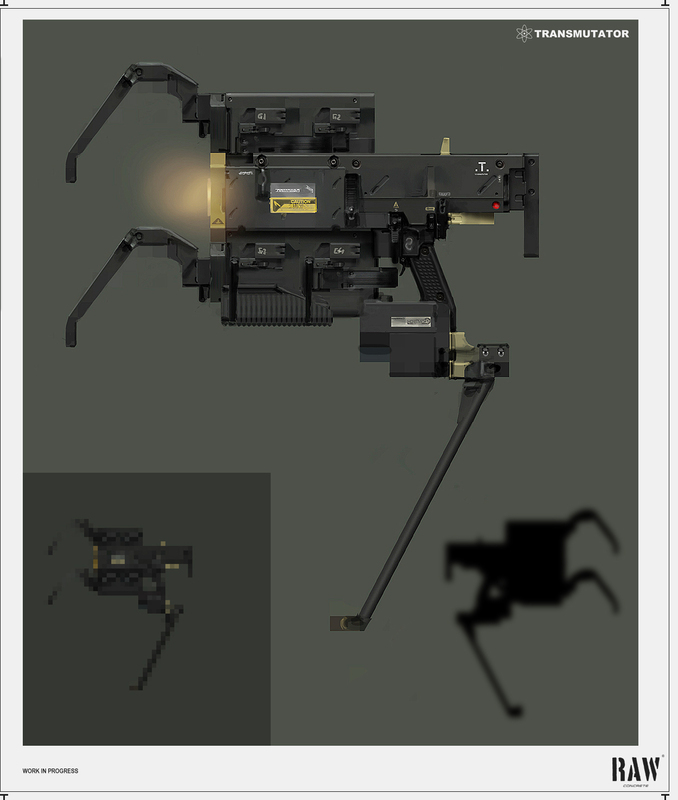 Below you can see the hi-res version which is being worked on, and which will be used for the in-game menu and such. Here you can see some of the environment props you'd be using to generate gun ammo. Bare in mind it's all work in progress, much more props would be created. Much more exist already, within other levels. 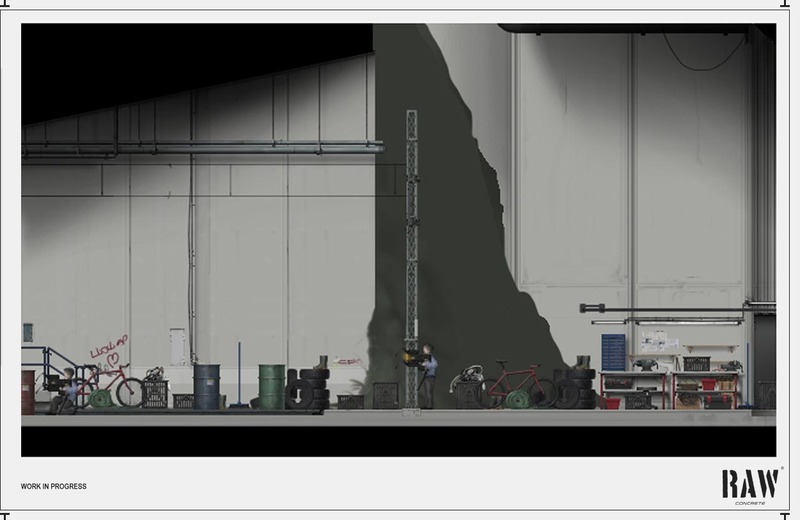 We'll show you now how stuff is done, from environments, props to characters. We want to remove any doubts you might have regarding our statement that everything finished (not counting lot of wip stuff) is done from scratch - no photos used. This is how. In one of the future updates we'll show process videos as well. It is very important to check readability of each asset on different backgrounds. Doing black and white background test is a must. It happens rather often that an asset, or some small part of it, would have a degree of transparency to it, something you don't want (as lot of assets are born on darker background where you can't see transparency). Exactly the reason why this test is necessary, to check for transparency errors. If an asset reads well or identically on these two, it's good to go, and will work on other backgrounds, so testing it on them isn't necessary, though we tend to do it sometimes. 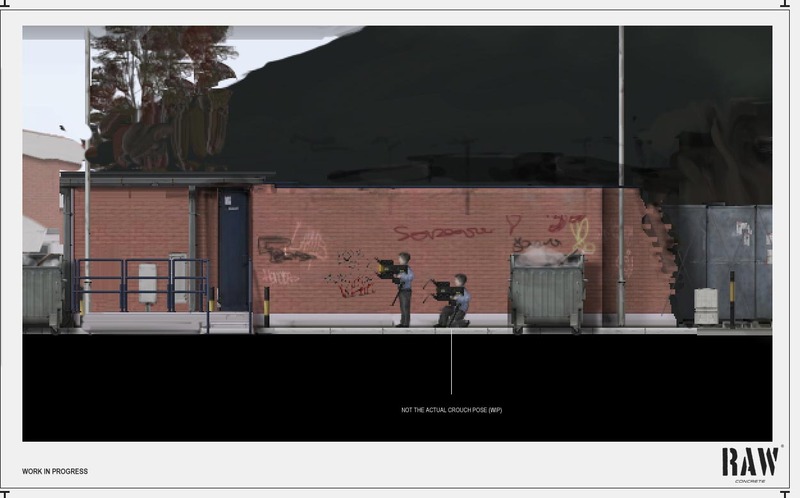 Say an artist i.e level designer is tasked with doing an environment prop, a trash container. First he would search the web i.e. 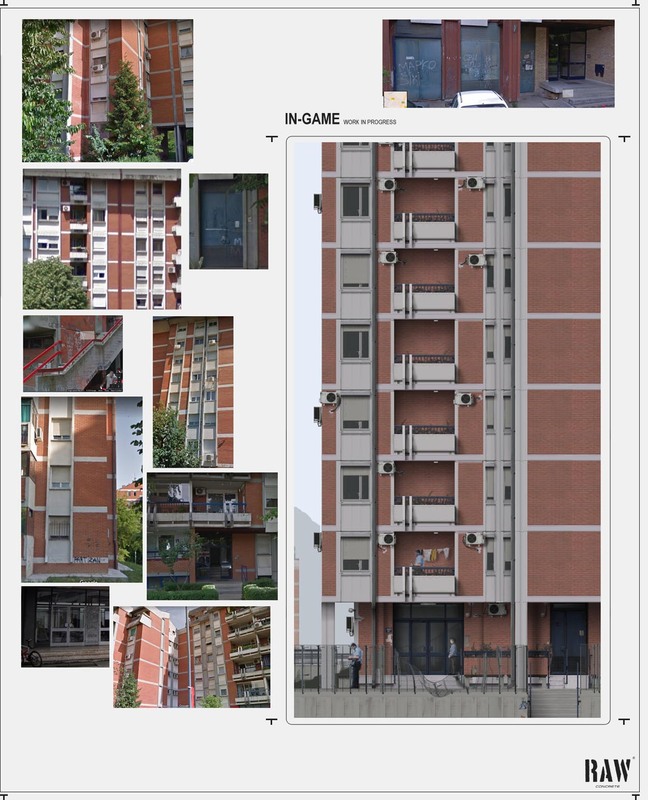 google images for the blueprint, however, since the (beginning of the) game takes place in Serbia, Belgrade, for the most part, he would be helped by our reference gathering assistant who lives there and helps us gather proper reference, by either searching google images himself for the needed reference or through google maps street view, which turned out to be super helpful. We want to be as authentic and true to references as possible. 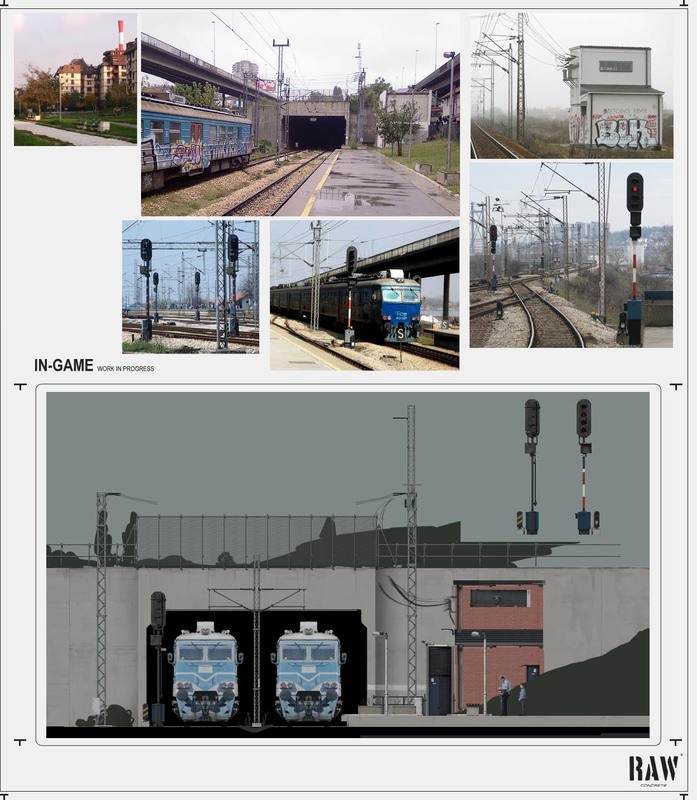 Once the artist get's his hands on the blueprint, or at least a good set of real world references of that particular object, always one image with at least one person near the object for scale, he can begin replicating it for the game. 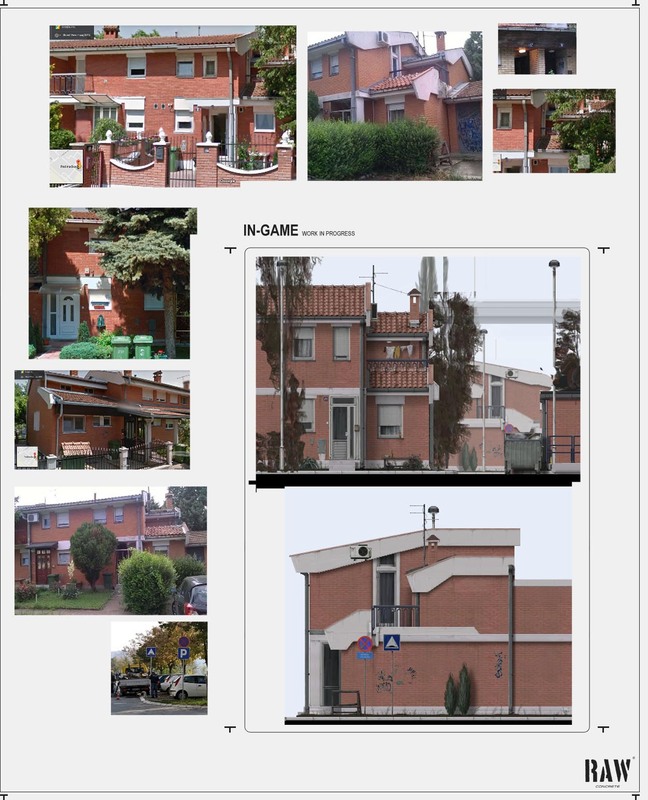 So, the level designer either looks at references and does the "filling" of the properly resized blueprint projection, or does the full over-paint of the imported (and properly resized) image of the object's "fake projection" (made using the Photoshop's distort tool) of side, front, back, top or bottom view. Simply, for a lot of things blueprints cannot be found nor are expected to be. The character went through several iterations. We are happy with the current version, which still may undergo some minor changes later on. The boy's time travel suit is yet to be done. We hope you get at least some idea of the game now, the visuals, the gameplay, the story. If you like the project and would like to see it come to life, we suggest subscribing and sharing it on social media. Currently, sharing and spreading the word out is the best way to help us, but also leaving constructive criticism/feedback in the comment section. We would love to hear from you. Anything interesting comes to your mind you think would be cool to see, tell us. It can be as simple as an environment prop. I thought transmutator gun would mutate the things it shoots AT, not the things he shoots WITH. An interesting idea we thought of as well but only as an ammo type, not the sole function of the weapon. The latter would get boring fast, we think. We want a higher complexity combat mechanics, in consistency with other aspects of the game - visuals, animations, audio and the story. Awesome presentation! I'm going to follow and see where you go with this game. I've never been a huge side-scrolling gamer until I played Terraria... so hopefully you can surprise me with some amazing action! Thanks. We're currently working on the beginning of the game, first 15 minutes or so, so we can have some actual gameplay that will help people get at least some feel of the game and simply to grow the fan base, faster. With pictures you can do only so much, with words even less. So, stay tuned. This project looks very interesting. Following.